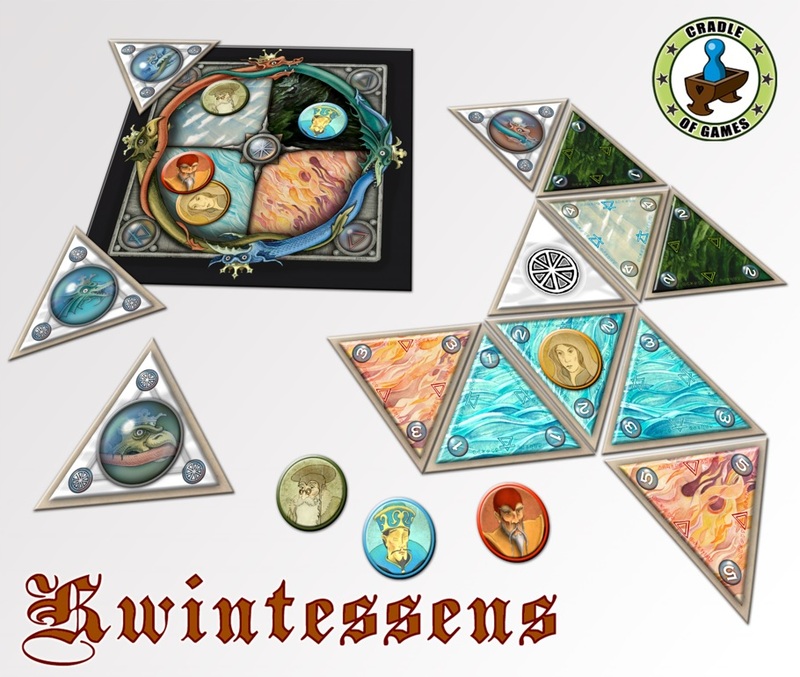 In the game Kwintessens each player tries to outwit the others by building four pure elements – triangles surrounded by triangles of the same element. To do so, a player can – and probably will – use the triagles already played by other players. Timing is essential in this quick, tactical game, especially since other players can break down a previously build pure element, by transmuting one of its parts. We will bring this game to Kickstarter in may/june 2017. 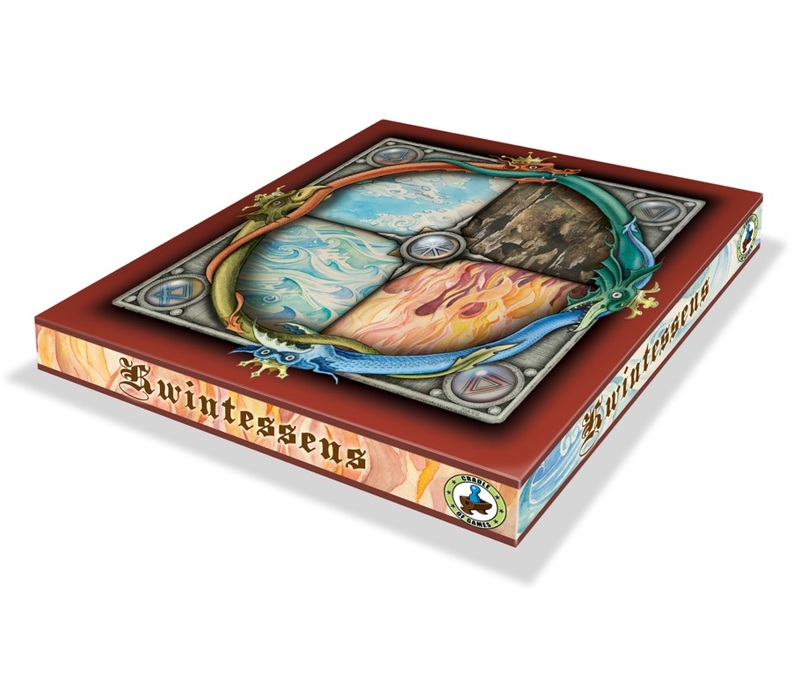 You can find Kwintessens on boardgamegeek, facebook and soon on Kickstarter. Here you find the full game in print & play version. Compleet, but less pretty. The player names on the front are meant for easy set up. Card placed on the table can be used by all players to make pure elements!